2018 commemorates the first decade since Junyi School of Innovation’s establishment in 2008 as well as its first graduating high school class. Of the 17 high school graduates, six will continue their studies overseas in Germany, the United States, and Canada, and 11 will continue in their undergraduate programs of choice locally. 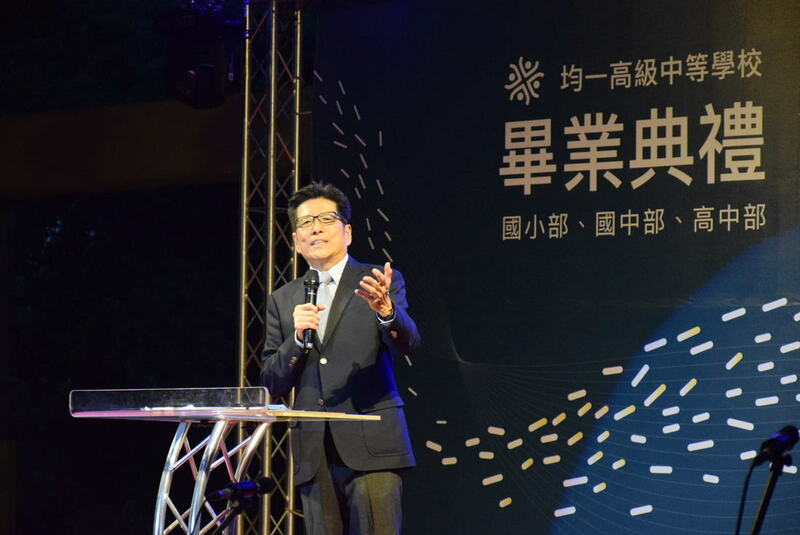 In Chair Yen’s commencement speech, he compares Taiwan’s education system to a racecourse. There are those leading and those who fall behind; due to a lack of momentum or resources, it is likely impossible for ones who fall behind to catch up. 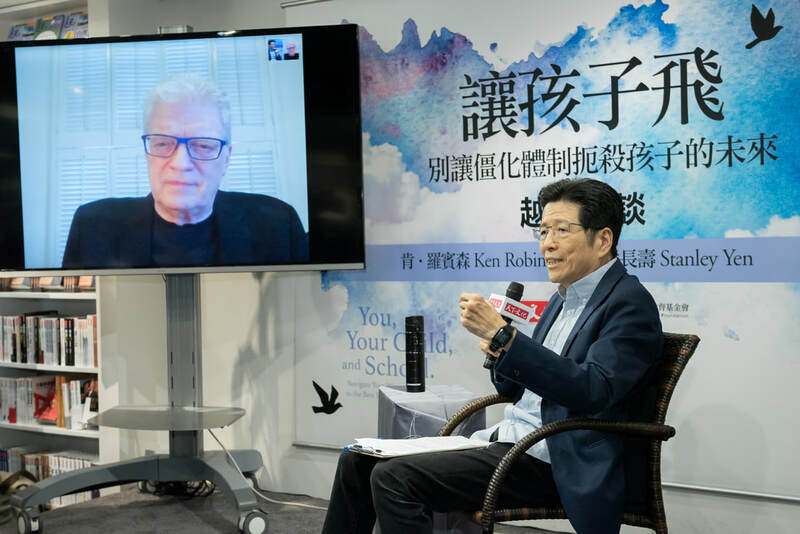 In Sir Ken Robinson’s You, Your Child, and School, he refers the teacher selection process in Finland. How in their selection process, a quarter of the teachers are of those with high academic scores and a quarter are of those with lower-than-average scores. The Finnish system recognizes each aspiring teacher’s teaching potential; those who found academics challenging tend to better understand the struggles of their students thereby providing the practical assistance needed to overcome their challenges. 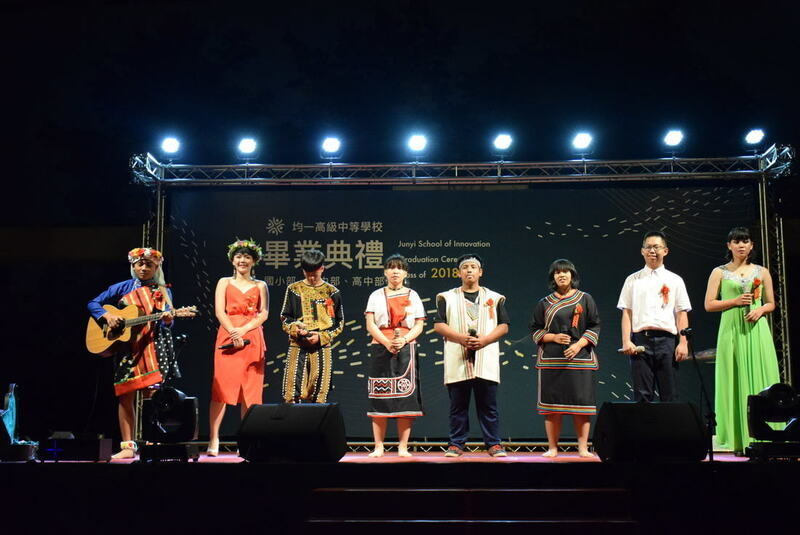 Junyi’s teachers come from several regions of Taiwan as well as overseas. While teacher recruitment proves to be an ongoing challenge, its growing, supportive culture – one that accepts all members regardless of age, experience, alma mater is formed over the years. In Principal Ching-Yu Huang’s address, he shares appreciation to the faculty who have worked hard to build Junyi’s spirit and values. He reinforces to students the value of recognizing and cherishing what one has without comparing to others as well as the importance of being responsible and accountable to oneself when faced with life’s choices; to remain positive and persistent in the face of adversity, and that in doing so, they will find their way. In addition to preparing for ongoing entrance exams, 9th and 12th graders of Junyi are required to produce a graduation report. It is a tradition and practice which helps graduates better understand themselves and bravely be the people they wish to become through reflection. Graduation reports are often stories of their journey and deliberations inspired from their education at Junyi. In Teacher Peihsuan Pai’s speech, she expresses how throughout ones’ lives, one will often be faced with choosing paths. She reminds students that in having the dialogue with oneself, peers, mentors, that these dialogues will eventually show the way. This is the takeaway of the Junyi spirit she wishes students will bring with them. Junyi prepares its students to become model citizens. To be equipped with the ability of self-discipline, and not be influenced by society. At Junyi, individuality is celebrated over uniformity. Each student is enforced to learn two languages – English and computer programming, three skills – to be responsible to themselves, to their profession, and to live life to the fullest, and finally, the 4Cs – collaboration, communication, critical thinking, creativity. Through the support of many incredible individuals, over a hundred students have received scholarships in the past six years nurturing a new generation of youths predominantly from the indigenous community who will go forward in their lives as global citizens. Junyi hopes that through its efforts, every child will be prepared for the path that suit them best. 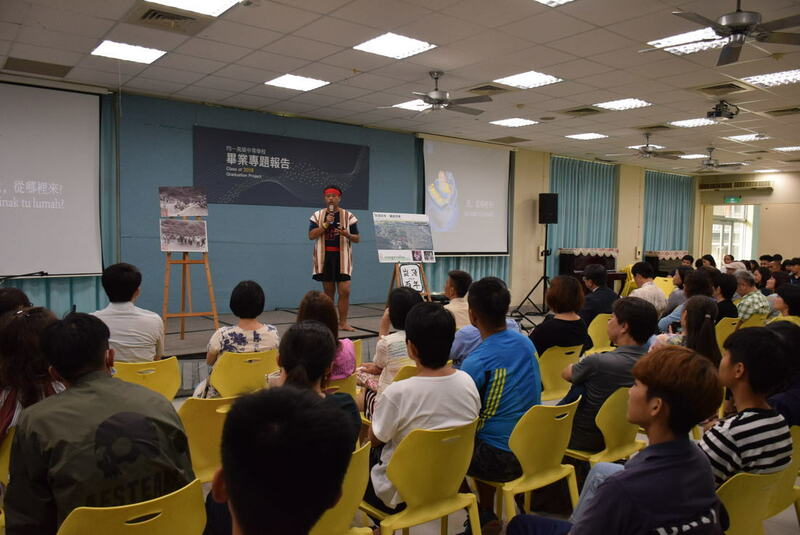 In its long-term goal, Junyi hopes to not only serve one body of students, but to demonstrate a model that will drive the education revolution of Taiwan serving students nationwide.